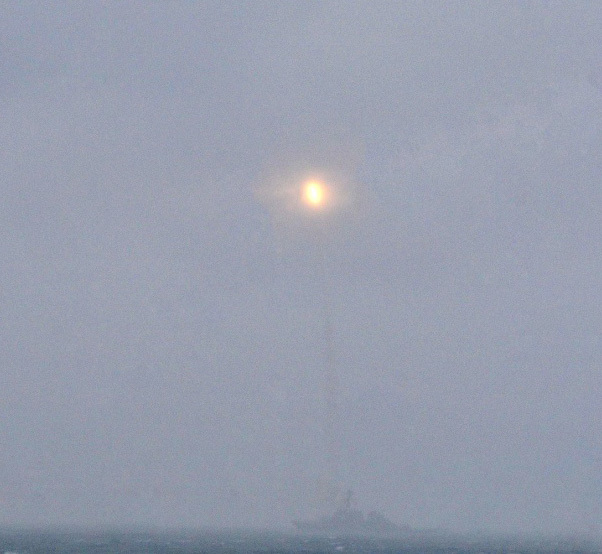 USS Ross (DDG 71) successfully intercepted a ballistic missile in the North Atlantic Ocean during the Maritime Theater Missile Defense Forum’s At Sea Demonstration Oct. 20, 2015. This is first time a Standard Missile-3 (SM-3) Block IA guided interceptor was fired on a non-U.S. range and the first intercept of a ballistic missile threat in the European theater. 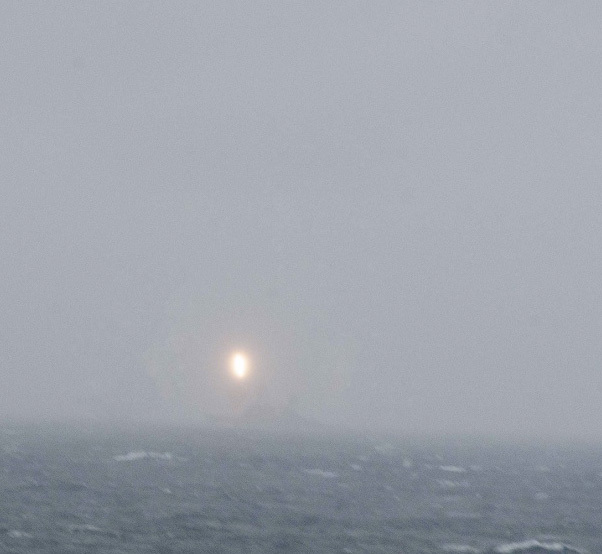 For the scenario, a short-range Terrier Orion ballistic missile target was launched from Hebrides Range and was inflight simultaneously with two anti-ship cruise missiles fired at the coalition task group. Ross fired a SM-3 and successfully engaged the ballistic missile target in space. In its air defense role, USS The Sullivans (DDG 68) fired a SM-2, which is the first time a SM-2 was fired on the Hebrides Range. 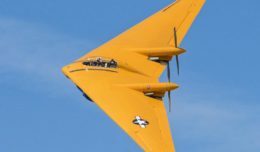 “The execution of the live-fire exercise is a clear demonstration of the forum’s ability to safely conduct effective coalition sea-based defense against simultaneous anti-ship and ballistic missile threats within an operational scenario,” said Ferguson. 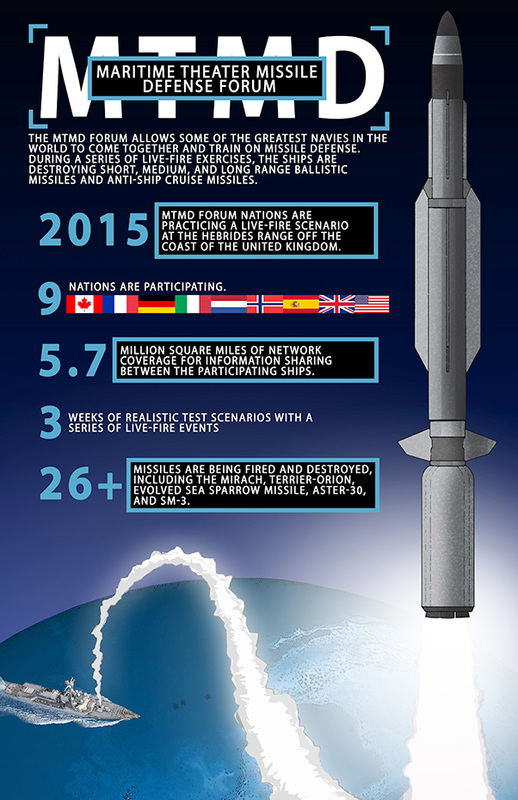 At Sea Demonstration 2015 (ASD 15) is taking place in the Atlantic Ocean from Oct. 18 – 20, 2015, sponsored by the Maritime Theater Missile Defense (MTMD) Forum. During ASD 15, participating nations will practice a live-fire scenario where short, medium and long range missiles will be launched, intercepted and destroyed with assets provided by Canada, France, Italy, The Netherlands, Norway, Spain, United Kingdom, and the United States.